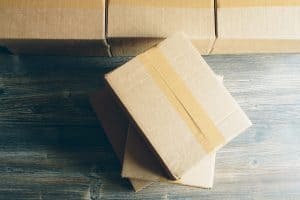 Drop shipping enables distributors to ship products directly to your customers. This eliminates the need for in-house inventory management and order fulfillment. But too often, eCommerce providers are forced to give up visibility, control and other variables that ultimately impact the brand experience. Dotcom Distribution offers proven drop shipping services and capabilities that allow you to remain firmly in control of the fulfillment process. Featuring real-time visibility of orders and shipping status, our drop ship services provide all of the benefits you are supposed to achieve from drop ship fulfillment, without any of the risks or concerns that typically plague drop shipping logistics. Full Integration: Dotcom’s systems integrate with suppliers to enable direct-to-customer fulfillment utilizing multiple formats from EDI to spreadsheets. In addition, our ability to customize drop shipment packing sips and labels make Dotcom appear invisible to the end user. Inventory Management: It is easier to maintain control of inventory with fewer sources, and inventory holding costs go down with less safety stock accumulated across the network. Freight Savings: Consolidation of shipment origination points should result in larger discounts for those partners. What can we drop ship for you?